Have you ever wanted to learn how to draw and paint? 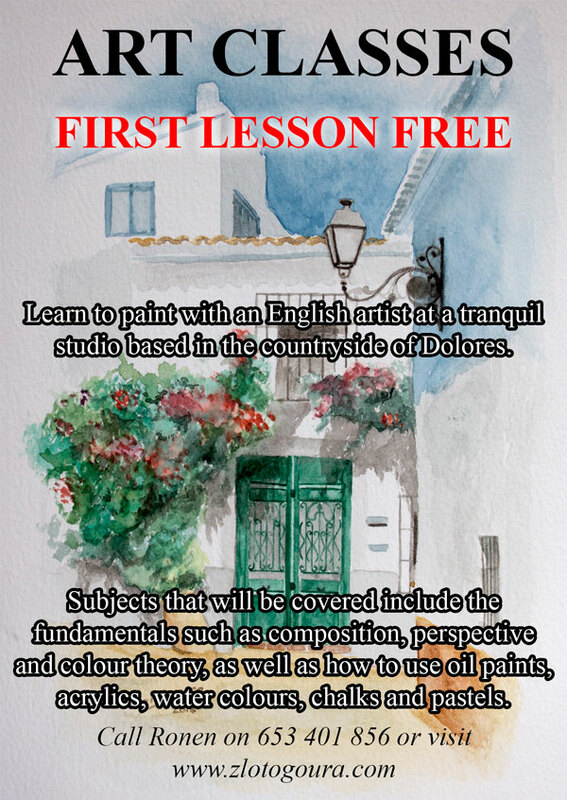 I run art classes from my local studio which is based in a tranquil part the countryside of Dolores, Alicante overlooking a horse stable. 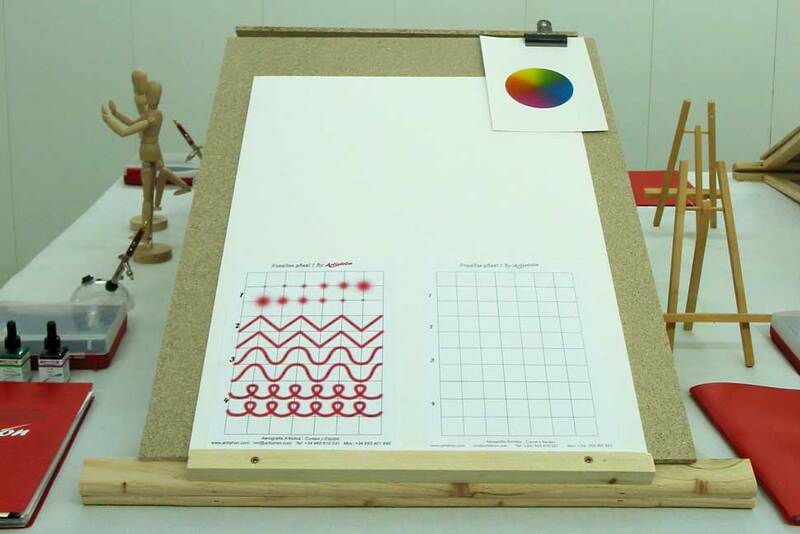 Subjects that are covered include the fundamentals such as composition, perspective and colour theory as well as how to use oil paints, acrylics, water colours, chalks and pastels. The art classes are 3 hours from 10am until 1pm on Mondays and Thursdays. They are for all levels wether you are a beginer or proffesional wanting to advance, and the first lesson is FREE. 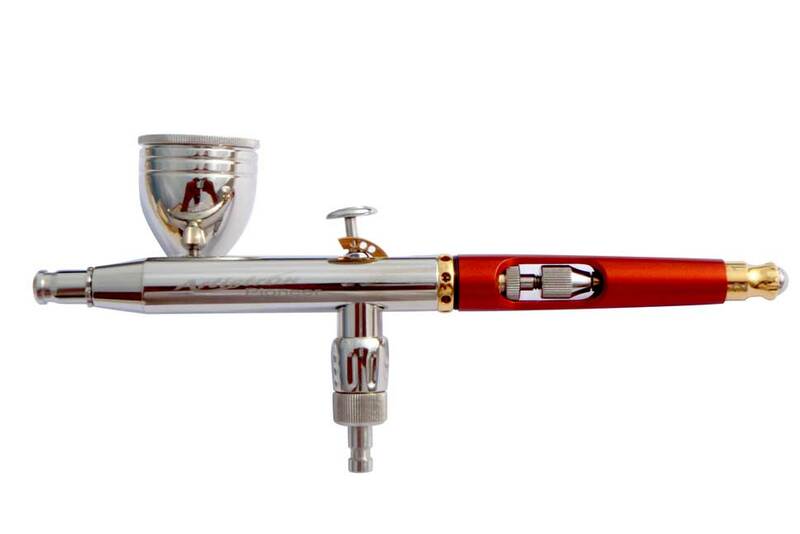 An airbrush is a versatile tool that uses a controlled amount of air from a compressor to be able to paint on any surface. It can be used for a number of things including photographic portraits, illustration, murals, customised motorbikes, helmets, cars and much more. 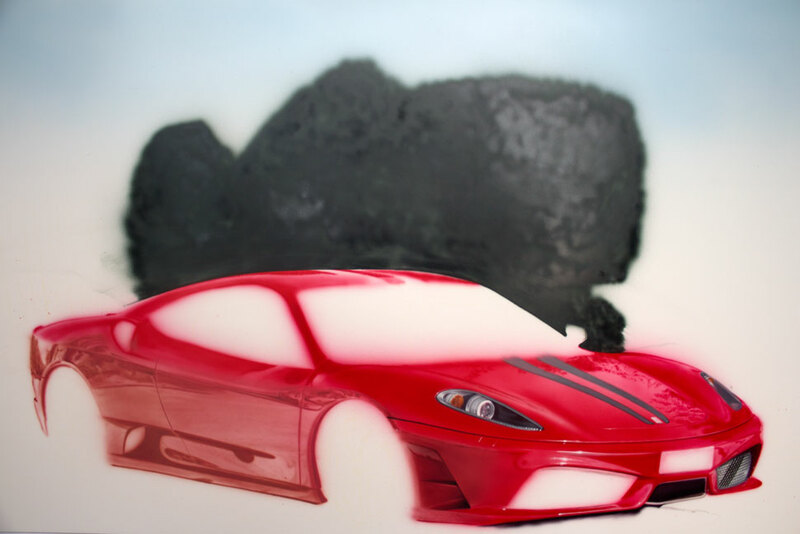 These courses focus on the airbrush technique which you can later apply to the surface of your choice. They are held in a fun and relaxing environment with plenty of individual attention. Four complete days where you will learn the skills and techniques needed to enter the world of airbrushing. You’ll be given step-by-step guidance to create and complete a variety of projects. Five productive days where you will be shown how to create Hyperrealistic artwork. Demonstrations will cover all aspects of Hyperrealistic portraiture including eyes, lips, flesh tones, hair texture and much more. The main project will be the painting you can see below carried out step-by-step. Please contact me to find out dates and availability.